Registrations for the September UB Women’s Conference in Lancaster, Pa., now stands at 174. The chapel where meetings will be held seats 200. So it’s going to be a full house! Kathy Bruce, chairperson of the UB Women’s Ministry Team (from Emmanuel Community Church in Fort Wayne, Ind.). Barry Skinner, pastor of Kilburn Avenue UB in Rockford, Ill.
Kathy Buck has joined the Huntington University faculty as Instructor of Nursing. Her nursing career has taken her to Tulsa, Okla., and to three cities in Indiana–Muncie, Peru, and Fort Wayne. Her experience includes a number of years in intensive care, along with orthopedics, home health care, hospice, and cardiac rehab. She holds undergraduate degrees from Anderson and Indiana Wesleyan universities in Indiana, and a master’s degree in Nursing Education from Indiana Wesleyan. Dr. Melanie Ross has been hired as Assistant Professor of Worship Leadership. Ross comes to Huntington University having previously taught undergraduate courses in theology at the University of Notre Dame. Ross holds a doctorate in Liturgical Studies from the Notre Dame. She earned a Master of Arts in Religion at Yale Divinity School and Yale Institute of Sacred Music in 2004. Matt McKeown wears a few different hats. His title is associate pastor of of First UB church in Holly Hill, Fla. (where his father, Chuck, is senior pastor). He manages Sound Mind Studios, a recording studio which is a ministry of first UB. And on the side, he writes lots of music. At the moment, Matt has written songs for (and is waiting on possible approval from) mainstream artists like Leona Lewis, Jennifer Hudson, Meatloaf, Jordin Sparks, Matthew Morrison (from Glee), Apocalyptica, and others. Nothing’s been picked up yet. He’s still mostly in the “trying to get my foot in the door” stage. But he’s been working hard at it. Matt was delighted last week when a song he co-wrote played on an NFL promo on Fox. I asked him to tell me more. “For the last 2 years I’ve been writing with a man named Billy Chapin. He has been in the business for years. He has written for and/or produced for a lot of mainstream pop acts like Backstreet Boys, O Town, and artists like Edwin McCain and Sister Hazel. He won an award for the song he wrote for the Christian group Avalon called “Undeniably You.” He has offers all the time from people looking for songs. “I have submitted literally dozens of ideas for lots of different artists. I submitted a song called “Nothin’ but the Best.” It was passed on by the band. So we submitted it to a company that gets music placed in pro sports games. That’s when the NFL picked it up. It played last Thursday (August 19, 2010), the day of the pre-season Patriots/Falcons game in a promo for the NFL on FOX. We heard from the music company that got it to the NFL that they want more music. So, in the last week or so he and I have written 10 or so more ideas to submit. Phillip Hall has come aboard the Huntington University faculty as Director of the Digital Media Arts Program and Assistant Professor of Digital Media Arts. He brings a wealth of experience in animation. 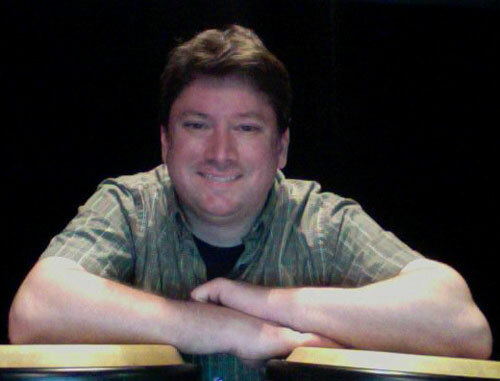 Hall has also worked on next-gen games for the Xbox 360 and Playstation 3 as a cinematics animator for Vicarious Visions (a subsidiary of Activision) on Marvel Ultimate Alliance 2. He also worked as a facial animator at Image-Metrics, contracted by Rockstar Games for “Red Dead Redemption.” Moreover, he has taught a variety of character animation classes as a fulltime instructor at the Art Institute of California–San Diego. Professor Hall started his career as a 3D Generalist/ Character Animator at International Game Technology where he worked on various licensed games including “Indiana Jones,” “Back to the Future,” “Soul Train,” and “The Addams Family.” In February 2008, he short animation “Bupkis, My Dear Watson” won the monthly character animation competition on 11Secondclub.com. Hall graduated from the Art Institute of Fort Lauderdale, and earned a Masters from the Miami International University of Art and Design. In October 2010, Global Ministries will send a series of work teams to help rebuild Haitian United Brethren churches that were flattened by the earthquake last January. These churches are crucial in our efforts to rehabilitate their communities. We need you as part of a team. We will send teams on these dates. Honduras Conference has committed and raised the support to send one volunteer. More are needed. Cost: $500 per person plus airfare to and from Port Au Prince. Contact Donna Hollopeter for more information. Steve chaired the HU Psychology Department for 24 years. Twyla, after 11 years as Director of Social Work Education at Taylor University, transferred to HU six years ago to develop a new program in Social Work. During those years, they served the UB denomination in various ways. Huntington University appointed three new faculty members to teach in the Psychology and Social Work areas. Tanner Babb, Instructor of Psychology (undergraduate and graduate levels). Babb spent three years as a child and adolescent case manager and as a marriage and family therapist with the Bowen Center in Huntington, Ind. After earning a Psychology degree from Huntington University, he went on to obtain a Master’s in Education, with a focus in marriage and family therapy, from Indiana University. He is currently finishing his dissertation for his PhD in counselor education and supervision at the University of Toledo. Babb is also a licensed Marriage and Family Therapy Associate. Taught in the Human Services and Sociology departments of Indiana colleges. Worked at SouthernCare Hospice, providing pastoral care, social services, and bereavement services for clients and families. Served at Crossroad Children’s Home as the director of pastoral care. Worked as an outpatient therapist for TriCity Mental Health Care in East Chicago, Ind., where he also served in the Intensive Outpatient Program. Worked as an inpatient therapist for Charter Hospital in Hobart, Ind. Leone received his Bachelor and Master of Social Work degrees from Valparaiso University and Loyola University in Chicago, respectively. In addition, he holds a Master of Divinity from California’s Anglican Theological Seminary. He pastors Our Glorious King Anglican Church in Huntington, Ind., and the Anglican Fellowship of Fort Wayne, Ind. Dr. Laura Gerig, part-time Instructor in Psychology. Gerig will teach half-time in the psychology department. She has previously taught psychology at Taylor University. She holds a bachelor’s degree in psychology from Taylor University, and a master’s degree and a PhD in school psychology from Ball State University. Her doctorate specialized in neuropsychology. Her areas of interest are child development and psychological assessment. David and Melissa Kline, along with children Mia and Brandt, are on their way back to Macau for another term. They had been in the States on furlough since early March. 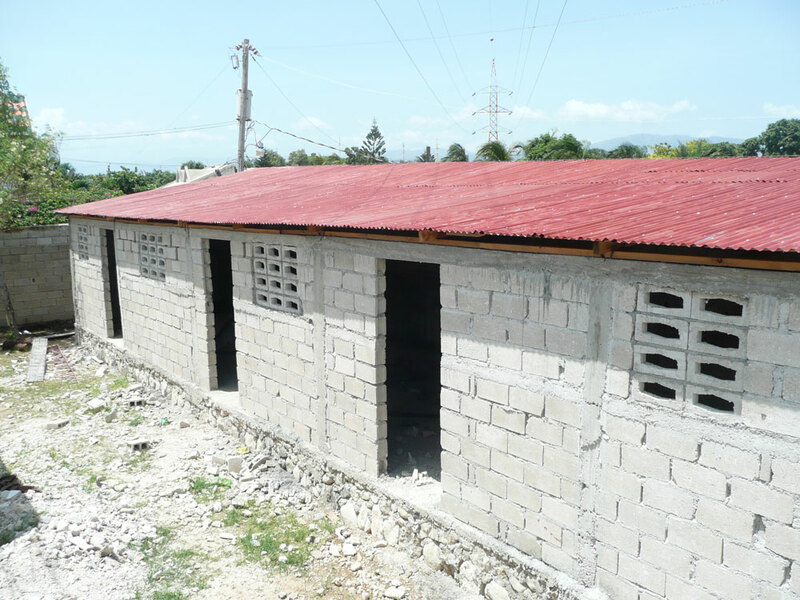 Construction of a new school at our Delmas United Brethren Church in Port Au Prince Haiti is nearing completion. It will accommodate up to 160 children who currently lack any access to education. Of these children, 32 have sponsors through our partnership with CH Global. This sponsorship provides nutritional, emotional, social, educational, and spiritual opportunities for the children and their families. The school is operated by our United Brethren members in Haiti and has a tremendous impact for Christ on their surrounding community. Allen “Rocky” Layne has been named senior pastor of West Pleasant Hill UB (Rockbridge, Ohio) effective August 1, 2010. He is also planting a United Brethren church called Eternal Water. He and a core group are personally funding the church plant, which began April 4, 2010.